The American Association of State Highway and Transportation Officials is launching a completely revamped version of its 13 year-old transportation jobs web portal on July 1; a portal available to AASHTO members as well as other transportation-related organizations and companies. 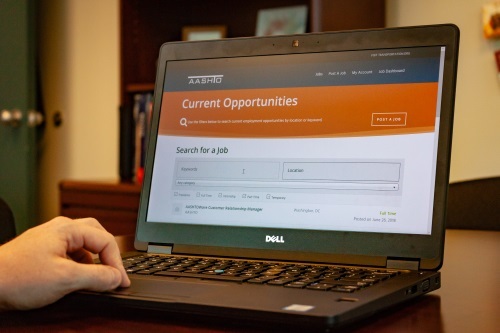 Since 2005, AASHTO has offered its members and job seekers the opportunity to advertise and find employment in the transportation industry through its online employment opportunities page on its website. The newly revamped portal, however, features improved navigation so job searchers to search for open positions by keywords, category, type of job, and by location. Along with the easier navigation, the site offers an updated look and feel, making for a more user-friendly experience. “The great thing about this new site is that it gives both job seekers and those looking for great candidates to concentrate their search within the transportation space, which only helps to ensure they find the most qualified candidates,” said Clarisse Bernardes Coble, AASHTO human resource director and liaison to AASHTO’s Committee on Human Resources. Along with the new look, the new transportation jobs portal also now allows those from transportation companies and organizations to purchase digital advertisements for a term of 30 to 45 days or longer, if desired, at competitive rates. Companies and organizations also have the opportunity to purchase featured ad space to get their ad seen by the most qualified candidates first. For job posters, the new transportation jobs portal does not require a knowledge of HTML coding and allows them to extend, edit, or delete their ad, and the ability to manage all of their job postings all from a single dashboard. To view open positions or to post an open position, visit the new portal at jobs.transportation.org.